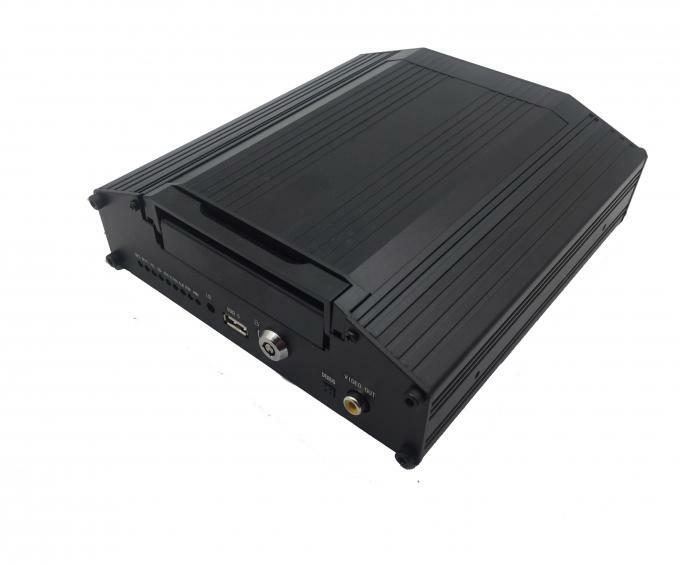 The MDVR supports 8 channel FULL 720P video recording, 3G/4G wireless live video transmission through PC&phone remotely, with GPS tracking on google map, wifi auto downloading, with RJ45, RS232&485, I/O port interface for multiple outer device integration. Its storage (max 2TB) lasts more than 80 days recording. 1. H.264 video compression, multi code stream. 2. Support 8CH 720P HD real-time video inputs. Also, support 8CH analog cameras inputs or compound inputs for 4CH HD cameras and 4CH analog cameras. 3. 1CH VGA output is optional. 4. 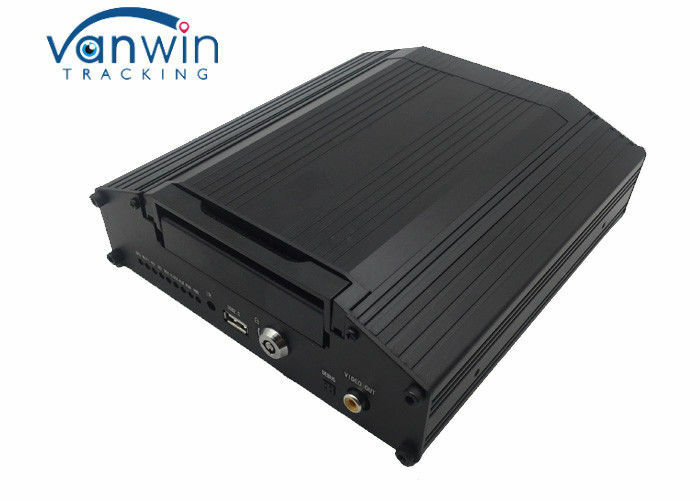 With exclusive pre-allocated type vehicle file system technology, it solved the file fragmentation problems which caused by overwrite, SD card data loss and SD card couldn’t be found, keep the data completed and stable. 5. 8-36V wide voltage power supply, super low power consumption. 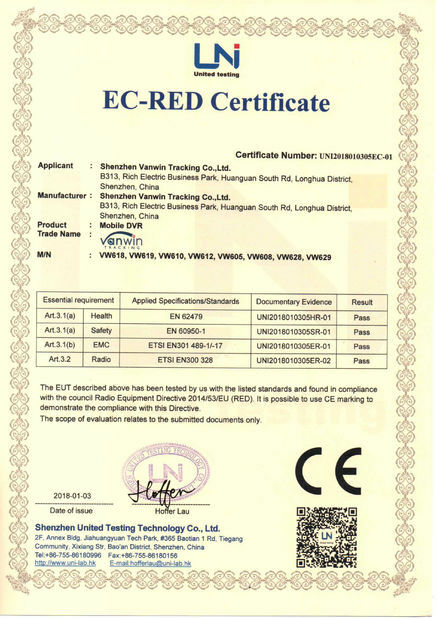 With overload/ undervoltage/ shortcircuit/ reversing protection, support all vehicles. 7. With watchdog abnormal restart protection function, it can better protect the machine and video. 8. Delayed video recording functions when vehicle is shut down (time settings can be up to 24 hours). 9. 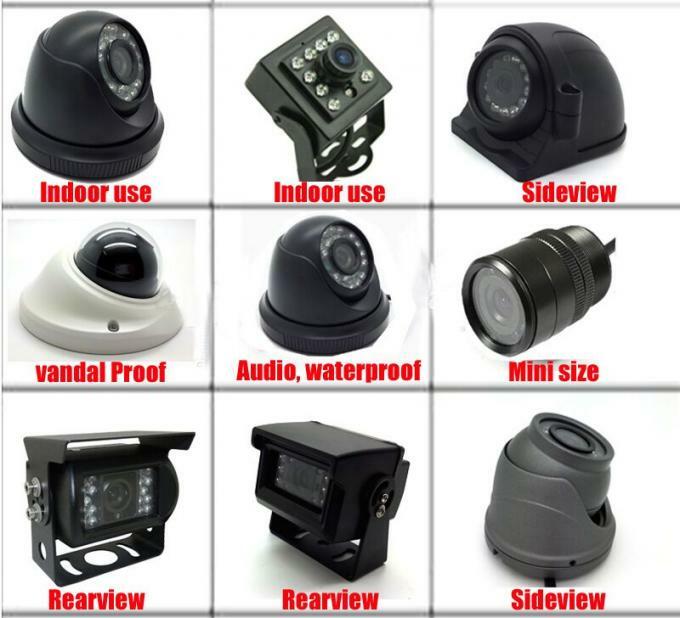 Various video recording modes to meet different demands, such as automatic recording, manual recording, alarm recording, etc. 10. Support 8CH alarming inputs and 1CH independent alarm input. 11. 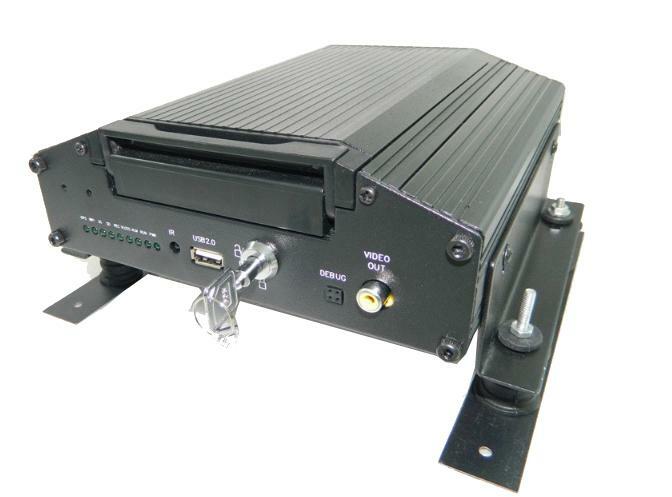 Optional for 1CH RS232 Serial port or 1CH RS485 extension. 13. 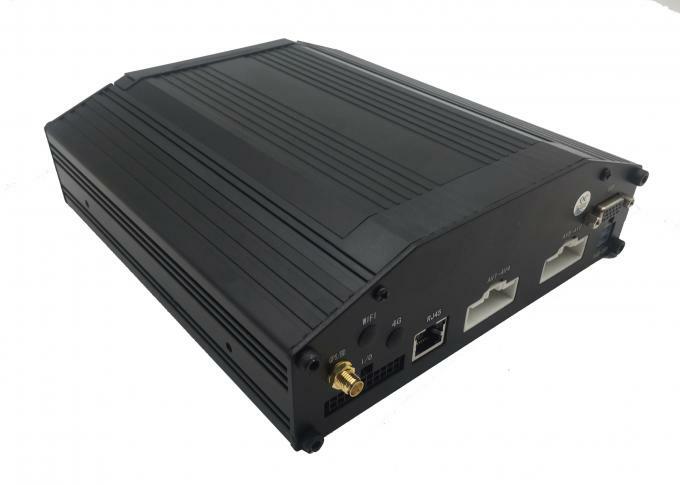 Support remote operation and monitoring by 3G and 4G. 14. Support Wifi and automatic data download. 15. Support ministry of communications agreement, support SMS remote configuration and equipment control. 16. Support voice broadcast, intercom and text schedule dispatch. 17. 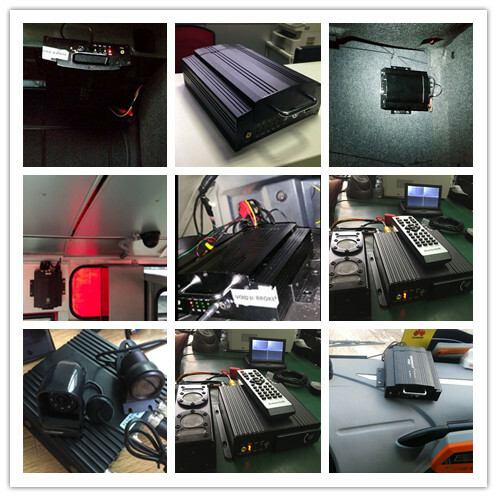 Support fuel sensor, temperature sensor, POS, LED advertising screen. 18. 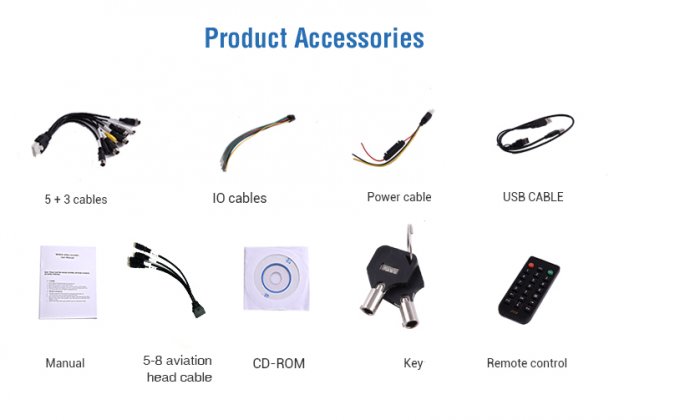 Support shockproof aviation connector, easy to plug or pull out, with best quality and best price, stable and reliable. 19. With full enclosed lock design, it can prevent the man-made sabotage effectively; Support mouse operating. 20. 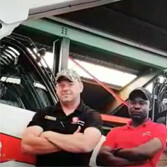 Support all vehicles, including bus, taxi, truck, school bus, etc. English, Chinese or Customized language. Support time, date, vehicle ID, image, etc. 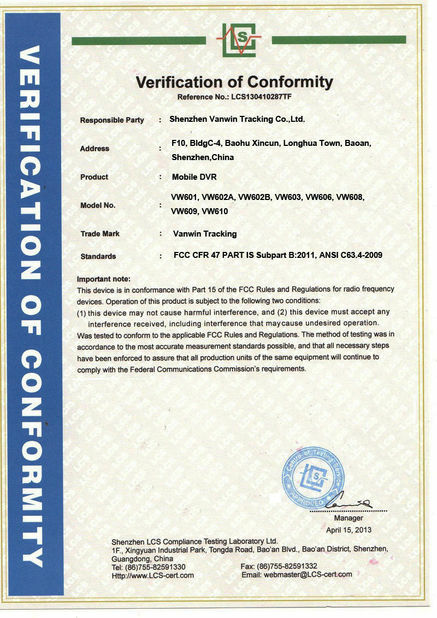 1CH Compound video output with optional VGA output, 1.0Vp-p, 75Ω. Support 1CH full screen and 4CH division. Optional Recording for Grade 0-7. 0 is the highest and 7 is the lowest. and make sure the files undamaged in case of sudden power off.